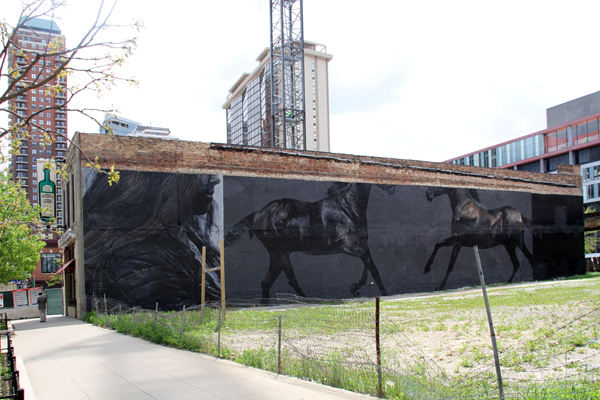 Wabash Arts Corridor [WAC]: Is mostly about big wall murals. 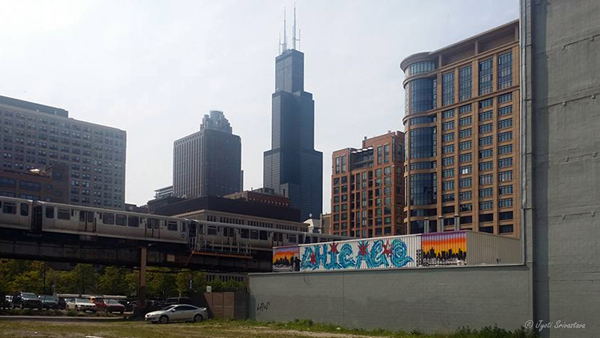 WAC is spread across seven blocks of Chicago’s South Loop: from Van Buren to Roosevelt and is framed to the east by Michigan Avenue and to the west by State Street. 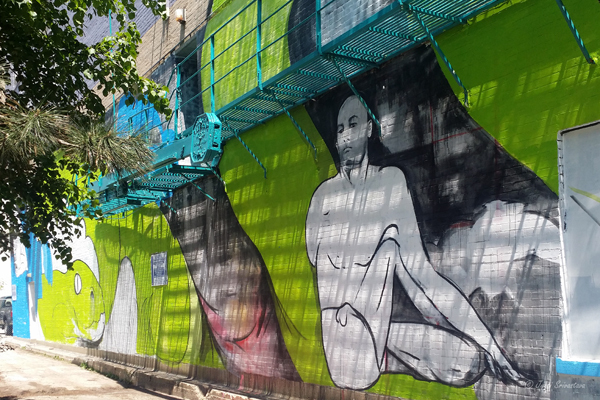 The area has become an outdoor museum of large scale street art murals – or Big Wall murals – with an amalgamation of different styles and themes. 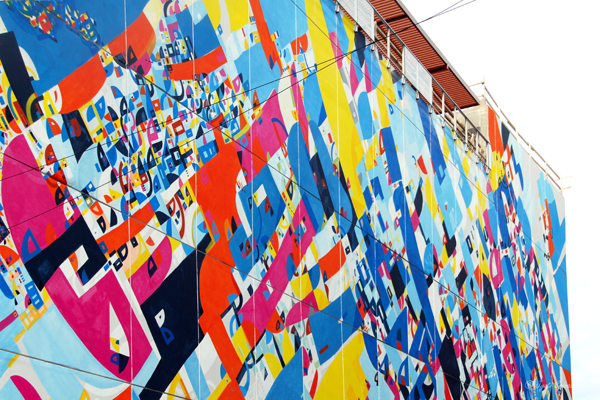 There are abstract and portraits, colorful and monochromes, comic-book inspired, calligraphy-inspired, and even graffiti-like murals. The themes are also diversified with a thought-provoking infusion of social, political, and environmental issues. International artists have been working side-by-side with local artists. Many upcoming artists have got an opportunity to display their works with established names. Although murals dominate, photographs and banners are also part of WAC. 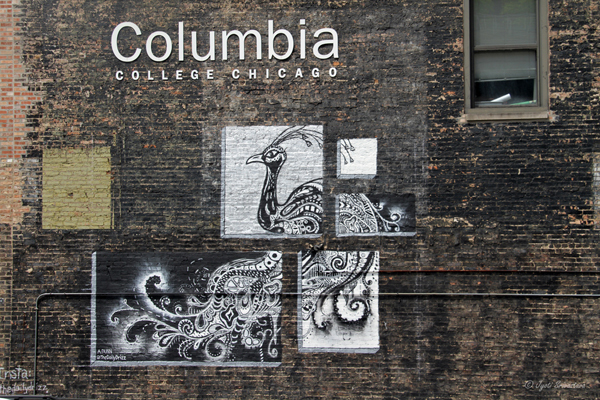 It began in 2013, when Columbia College launched the Wabash Arts Corridor. 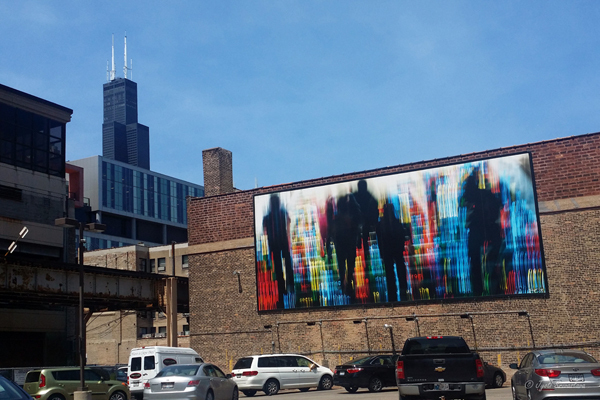 “It is now a Living Urban Canvas”, says Mark Kelly, the Vice President of Student Success at Columbia College Chicago and visionary behind the Wabash Arts Corridor’s mission. 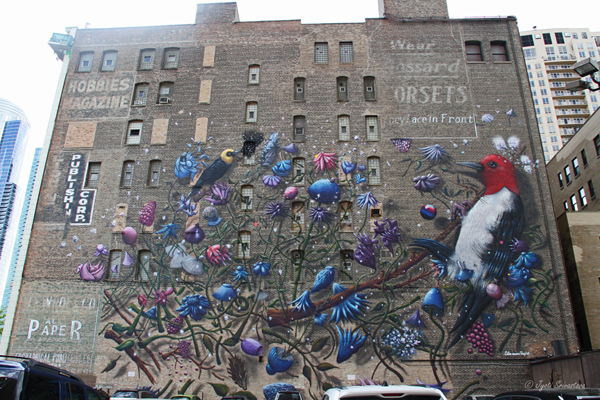 In 2016, eighteen new big wall murals join the earlier murals in Wabash Arts Corridor [WAC]..click here.... 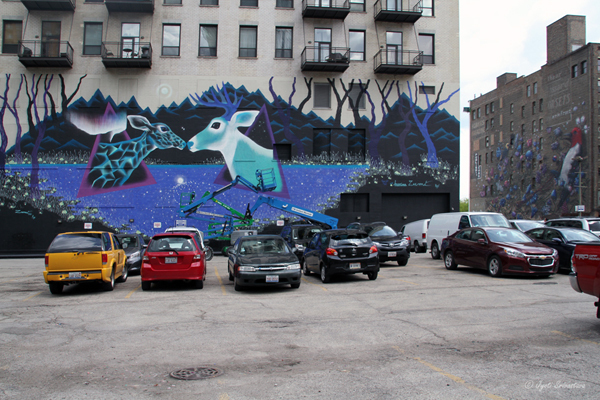 These new murals are by international, alumni and local street artists. Four international artists are participating in the year 2016: Eduardo Kobra [Sao Paulo, Brazil], Marina Zumi [Buenos Aires, Argentina], Ricky Lee Gordon [Cape Town, S.Africa], Collin van der Sluijs [Maastricht, the Netherlands]. 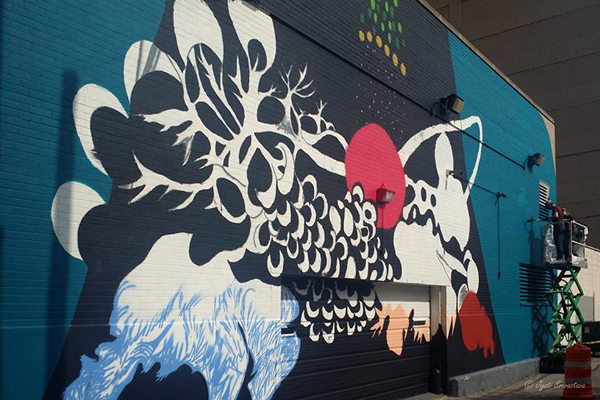 Three alumni have been invited to bring their unique styles to campus with their abstract, cartoon-inspired and graffiti-like styles as a part of Columbia’s Big Walls mural initiative: Justus Roe [2008 interactive arts & media alumnus], Don’t Fret [photography alumnus], and Ruben Aguirre [2002 Art+ Design alumnus]. 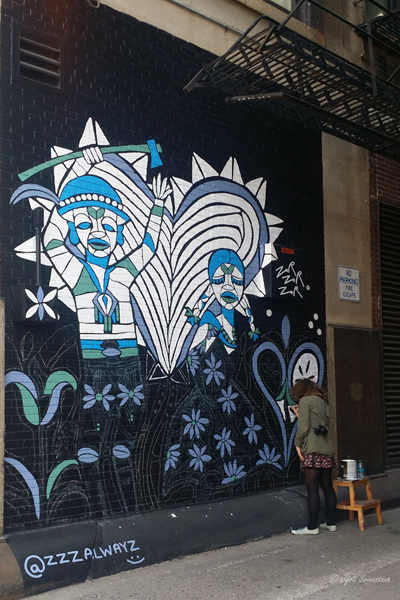 Local Chicago street artists included in the project are: Renee Robbins, Amuse 126, Sarah Stewart, Lady Lucx, Zor Zor Zor, Czr Prz, DMNology and Tara Zanzig. 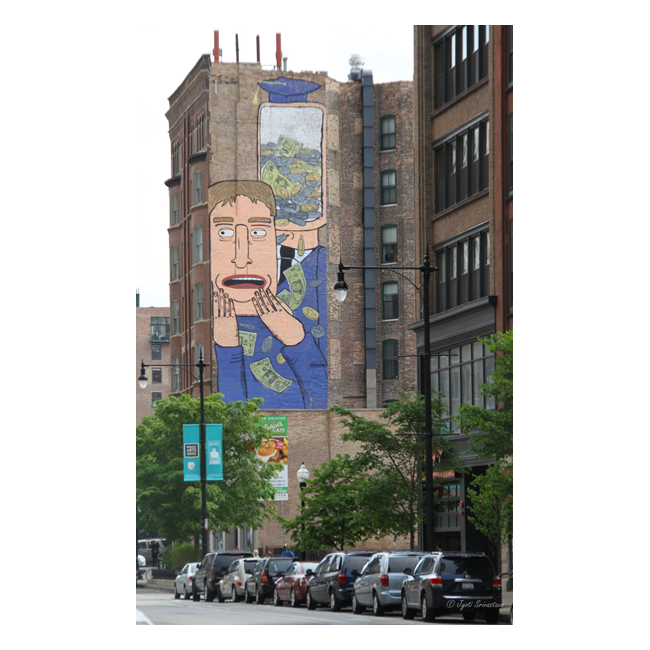 Wabash Arts Corridor [WAC] organized two competitions named “Peoples Choice: Wabash Arts Corridor from Sketch to Street”, to select three student winners of will also be featured in the project. 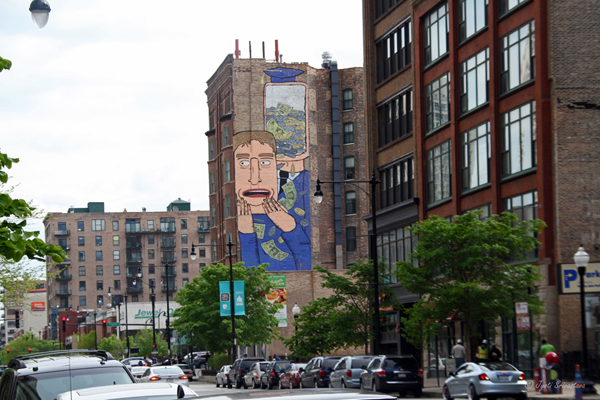 – The first was for the design and installation of a new rotating student mural series to be displayed on the south-facing wall of 623 S. Wabash. The site will feature a new mural twice a year, where each student mural will be on display for 6 months as part of the rotating series. The two winners of the competition are: Andrea Dunn [senior design major] and JJ McLuckie [junior design major]. 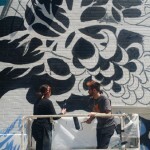 Mural “Peacock” by Andrea Dunn is already completed. In October 2016, JJ MCLuckie will have his mural on the same wall over Dunn’s mural. 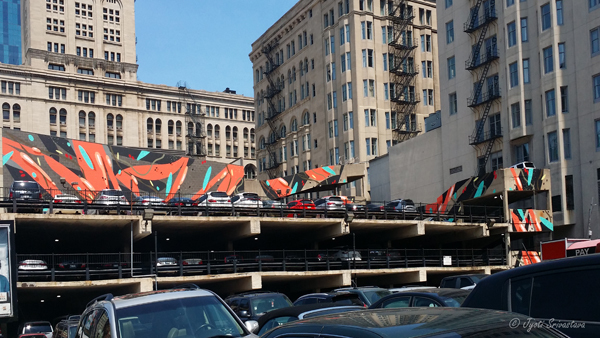 – The second competition was for a series of 5 banners to be displayed above the Leviton Gallery at 619 S. Wabash Ave. Each banner will measure approximately 74” width x 94” height. The winner is Charles Loggin, a junior photography major from Columbia College. The banners will soon be produced. 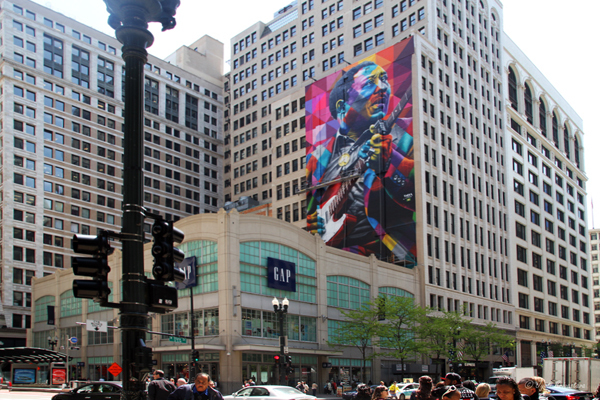 Muddy Waters – by Eduardo Kobra at 17 N. State Street. 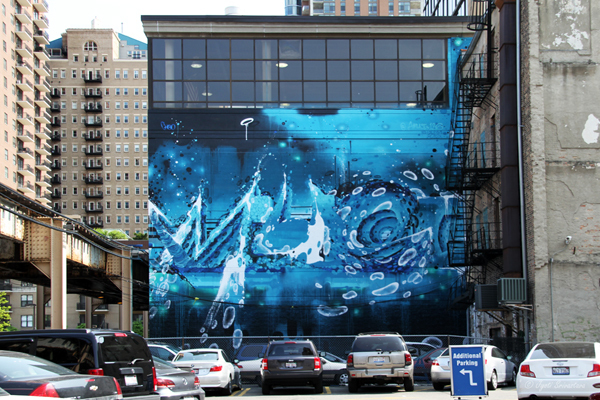 This 100 ft. tall mural of Muddy Waters – the “Father of the Modern Chicago Blues” – is a joint project of world-renowned Brazilian street artist Eduardo Kobra, the Wabash Arts Corridor “Big Walls” Project, building owner Anne Voshel and Columbia College Chicago. 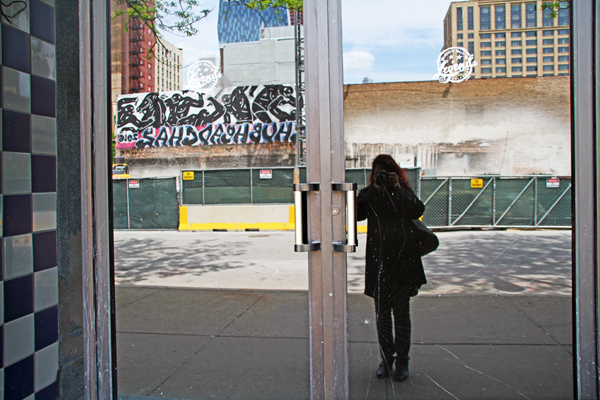 The idea to beautify blank walls in the Windy City. It covers the iconic moral “GO DO GOOD” by Kay Rosen .. click here..
For more on the mural by ZorZorZor.. click here..
For more on “Who do you Love” mural – by Tara Zanzig.. click here..
For more on the mural by Renee Robbins.. click here..
Czr Prz [Chicago] – 1415 S. Wabash Avenue. 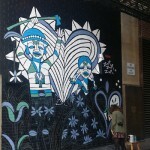 As I was walking through the Wabash Arts Corridor, I found some artists still working on their murals. There is nothing like catching artists while they are working – creating art. 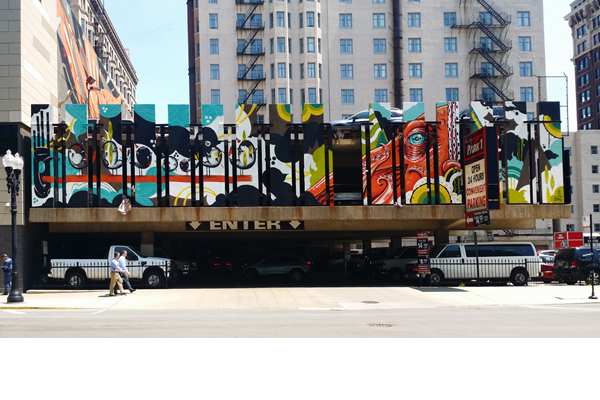 2016 Work-in-Progress/ Mural by ZorZorZor.. click here..
2016 Work-in-Progress/ The Milky Way – by Renee Robbins .. click here..
2016 Work-in-Progress / Who Do You Love – by Tara Zanzig.. click here..
2015 Wabash Arts Corridor.. click here..